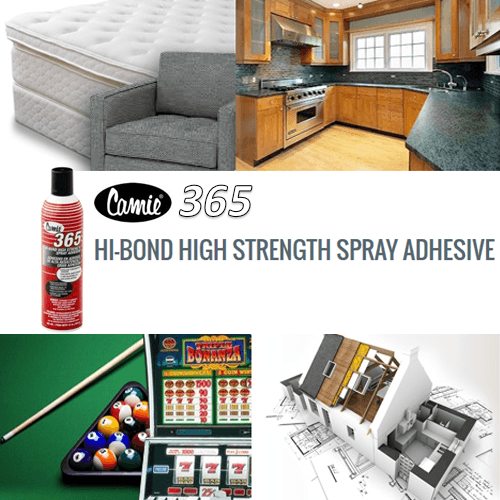 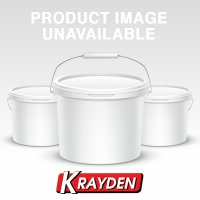 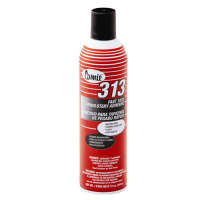 Camie 365 High Strength Spray Adhesive for construction, housing, billiards, furniture, upholstery, cabinets, and more. 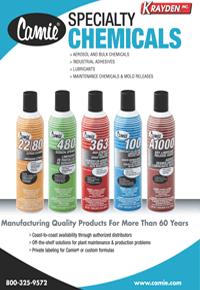 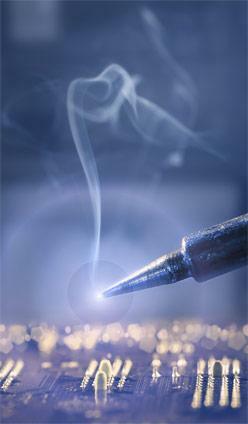 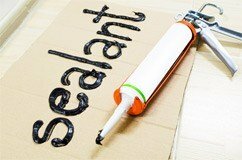 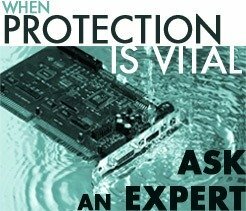 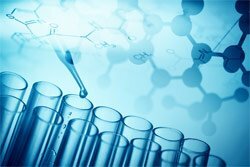 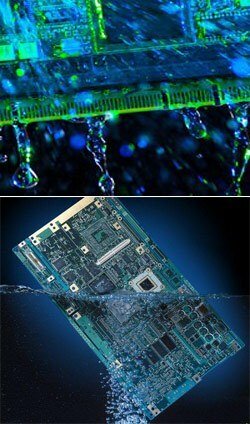 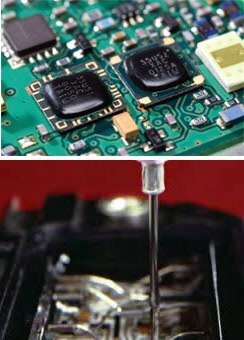 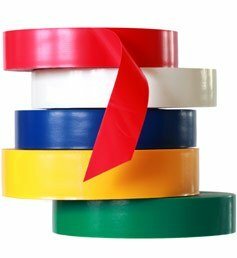 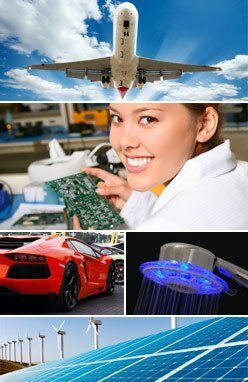 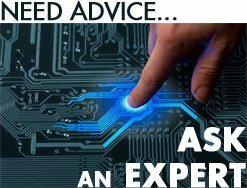 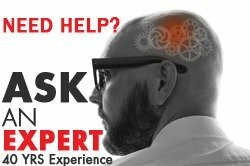 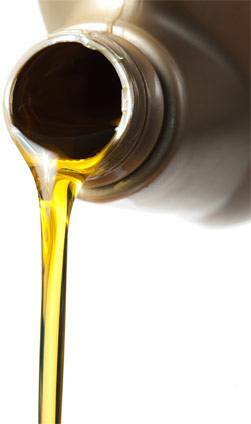 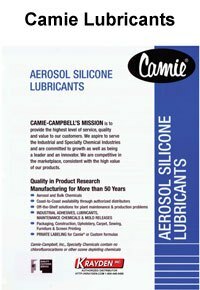 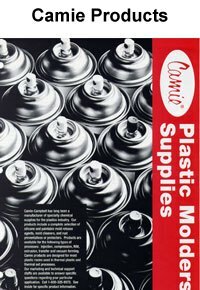 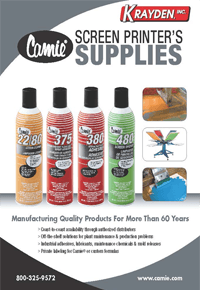 Camie provides a wide variety of specialized silicone lubricants, spray adhesives, cleaners, and degreasers. 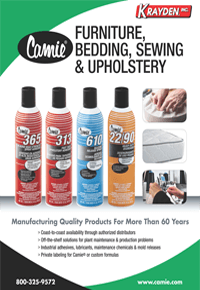 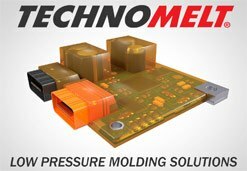 They have been providing high-quality products for a number of industries including screen-printing, injection molding, upholstery and construction for more than sixty years. 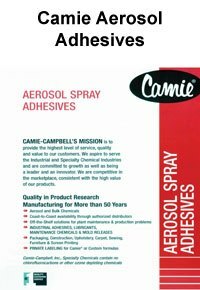 Camie prides itself on being environmentally safe, producing products with no chlorofluorocarbons or other ozone depleting chemicals. 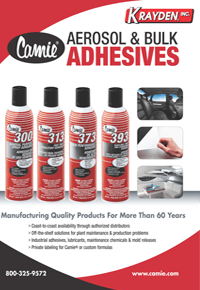 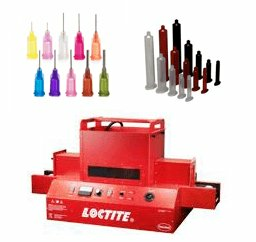 Camie also provides private labeling services, offering quality and the highest level of value to their customers. 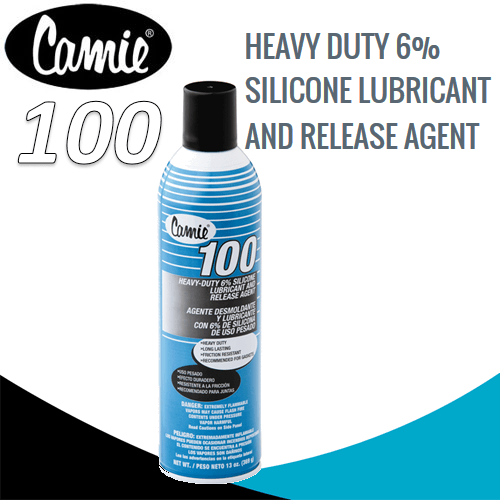 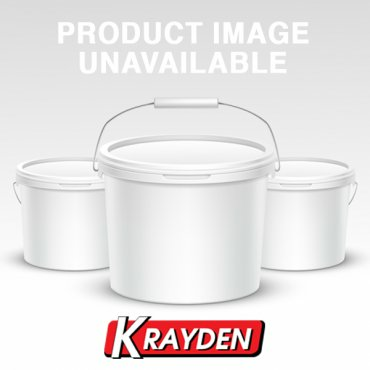 Camie 100 Silicone Lubricant and Release Agent for construction, RV & MFG housing.